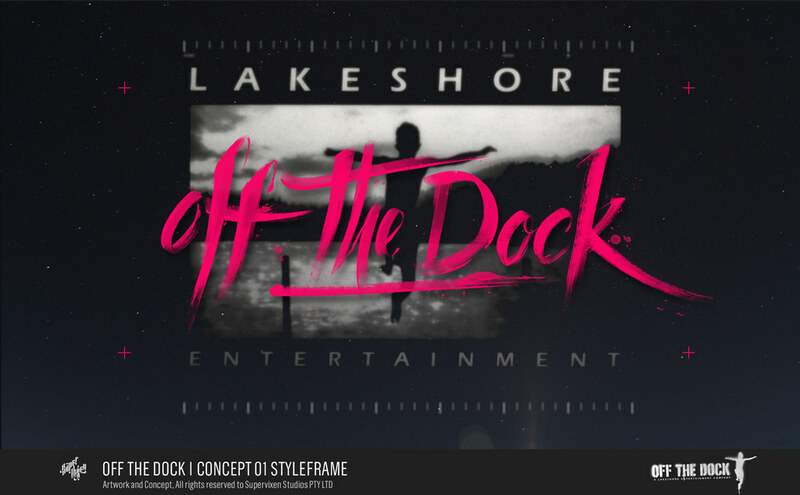 Approached by our friends at Lakeshore Entertainment, SUPERVIXEN was appointed to create an identity and motion piece for the digital content label Off The Dock. 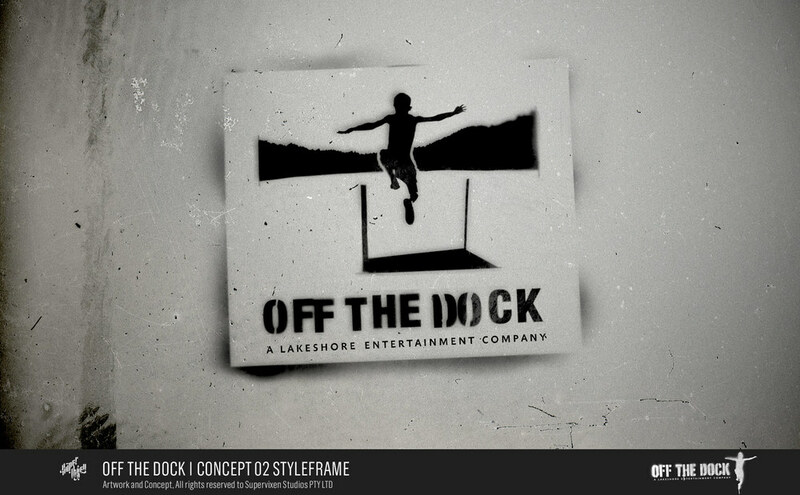 Off The Dock is a digital studio that will finance, produce, acquire and distribute films from digital influencers that are aimed at the always-connected, YouTube-watching generation. With this information in mind, SUPERVIXEN took the existing Lakeshore Entertainment identity and vandalised it in a contemporary way, hence paving the road for the Off The Dock identity reveal. 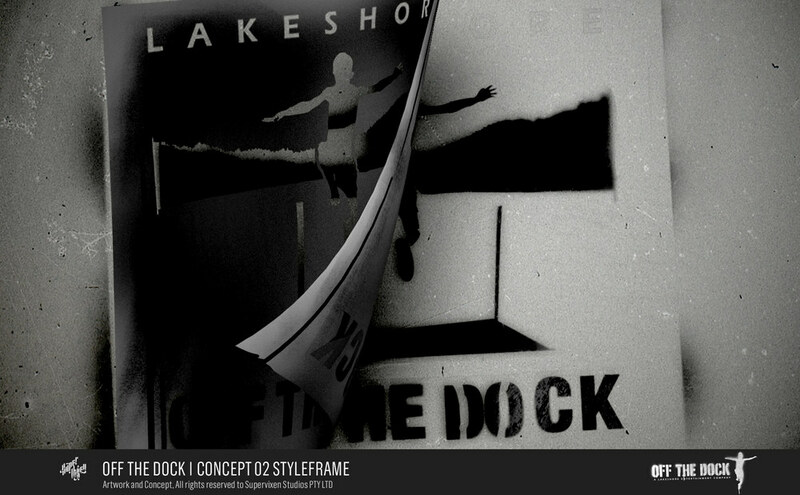 Final resolve of the Off The Dock motion Identity. SV Director Daniel Bavell with Off The Dock vandal, Timothy Nguyen. After the initial design work was set, the filming could begin. Being executed in-house at SV HQ, SUPERVIXEN teamed up with longtime friends Filthy Look Films to bring this conceptual identity to life. As much as we wanted to go around town spraying this stencil on every wall we could find, we had to re-create the whole thing digitally. This allowed us to keep the whole project within a controlled environment allowing for adjustments and changes to happen along the way. As the brief was fairly open, SUPERVIXEN was allowed to investigate various contemporary ways the vandalise the Lakeshore Entertainment logo. The following frames are a few of the earlier stages of this design process that never made it off the cutting room floor (so to speak).